Since I have a weeks break from school I decided to do my own "top albums" thread (the albums are going to be in quite random order in which they come up to my mind.) These are some of the albums I have enjoyed and I hope you would find something new by reading this. Some of the albums are quite obvious but there are alot of not that well known bands (mostly finnish and swedish). Last edited by TheFolkslave; 11-04-2010 at 07:20 PM. To start of the thread I introduce my hometown heroes and the band that gave me my Music Banter username. I first listened to Callisto in the summer of 06 or 07. I was instantly hooked and intrigued by the fact that the band was originally formed in my small hometown. Callisto is a post-metal band that incorporates unexpected instruments, for example saxophone, cello, flute and English horn to their sludgy post-metal sound. Callisto's short and cryptic lyrics contain Christian themes and references. Callistos second album Noir is in my opinnion their finest work yet. I love the album to death and still after all these years listen to it quite often. I have seen the band live many times and they never dissapoint me. I also see the guys quite often since I live in the same town. Last edited by TheFolkslave; 11-05-2010 at 07:31 AM. I enjoy these types of threads. EDIT: I'm highly apprehensive of metal music though, because I don't have a great impression of it based on what I've heard so far, and I really want to open up to it. I just don't even know where to start or what's best for my taste. I'll be covering quite many types of music on this thread but there isn't going to be that much metal in it since Im not that huge fan of metal myself, but there is going to be some good ones that I really enjoy listening to. So you can maybe try those ones too and see if you like them. I have to warn that this thread is going to include a whole bunch of post-rock and indie stuff. Good first choice, one of the better post-metal bands outside of the US. "Wormwood" is killer opening track and I can also see where you got your username from. Pedestrian click on the 8tracks link in my sig and listen to the last four of my mixes, they are all metal. Keep track of what you enjoy and then let me know what worked for you and what didn't. I can help you get full albums and give you recommendations on where to start with the artist, or find similar artists. I'll be covering quite many types of music on this thread but there isn't going to be that much metal in it since Im not that huge fan of metal myself, but there is going to be some good ones that I really enjoy listening to. Oh, yes I expected as much. I was really just throwing that out there because I've been thinking about mentioning my interest, I just haven't gone through with it because I find a whole new genre (that I don't so far enjoy) highly intimidating. By last four, do you mean the first four boxes on the page? 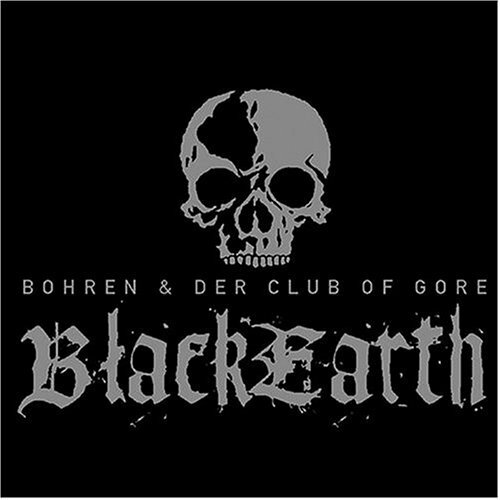 Bohren & der Club of Gore is a ambient doom-jazz band from Germany. The band was founded in 1992 in Mülheim an der Ruhr. I really can't remember when I first listened to Bohren, but they've been with me for a few years now. I usually listen to them when Im lying on my bed at 2am since I need a silent vacuum kind of place to really enjoy the music. Nice dark and beautifull stuff and I consider Black Earth to be their finest and the most dark album. Last edited by TheFolkslave; 11-05-2010 at 07:32 AM. Haha brilliant follow up! Black Earth (2002) is a personal favorite of mine that I turned onto a few people from here, 333 in particular. The album is just so good and slow and mournful and... good. Perfect writing music. And yes Pedestrian, click on the boxes and then hit the play button for the mixes to start. Haha : D I also like to write listening to Bohren. Also some of the best drawings of mine have been made listening to this stuff. Ok now Im off to sleep. I shall continue the list once I wake up.